Notionally this was a Country gig and the support act The Sisterhood Band were in that vein, two very cute girls in boots and Cowboy/Spanish style hats with a little bit of Nashville, Appalachian mountain harmonies and clap-along fun. They dedicate a song to Rod Stewart and sing about love problems in the same kind of way as Dolly Parton. The crowd are responsive, ever though it's clearly an Aerosmith crowd in the house. There was then a surprise invasion of the stage by some conservatively-dressed men with a saxophone, double bass and acoustic guitars for a rousing Barber Shop Quartet version of 'Bohemian Rhapsody' which brings the house down. 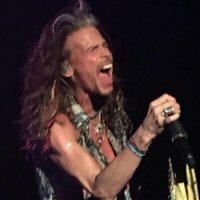 It's not long before Liv Tyler, side stage with bairn, causes a minor crowd surge and we see a short film of Steven Tyler before 'Sweet Emotion' begins and he's on stage in rhinestone-studded pants with his scarf twirling microphone that sports his starry eye with a devil tail motif and "Lick Me" painted on the base. Yes, there is no Joe Perry et al., but anyone who stayed away on the grounds that it was not Aerosmith made a mistake. 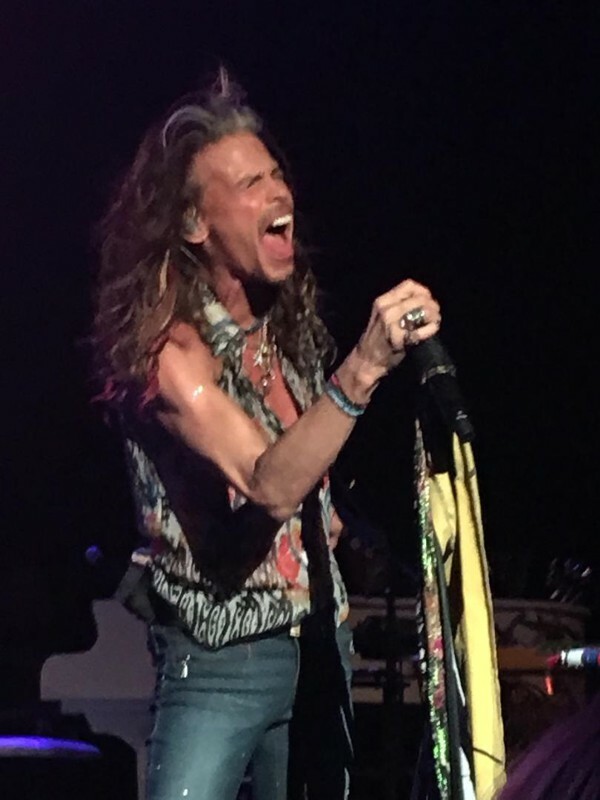 The larger-than-life Tyler is more than enough, and the show is still mesmerizing and seemingly full of Aerosmith numbers. He is in good voice, scotching rumors of ill health from a few weeks ago. The set features some covers, like The Beatles crowd pleaser 'Come Together' and a truly amazing version of 'Mercedes Benz', the classic made famous by Janet Joplin courtesy of the amazing voice of Loving Mary. There are only three tracks from Tyler's solo album, including the title track 'Somebody From Somewhere', but five Aerosmith songs consisting of 'Cryin'', 'Living On The Edge', 'Dream On' (with Tyler on a white grand piano) and, surprisingly, 'Walk This Way' as an encore. Was it my imagination or did he really sing 'Pickin' Up A Wedge'? Either way, I actually thought a hundred pounds a ticket was still a bargain to see Tyler in a more intimate venue than usual. When he tickles the drummer during the solo, it's a reminder that literally anything can happen with this artist. 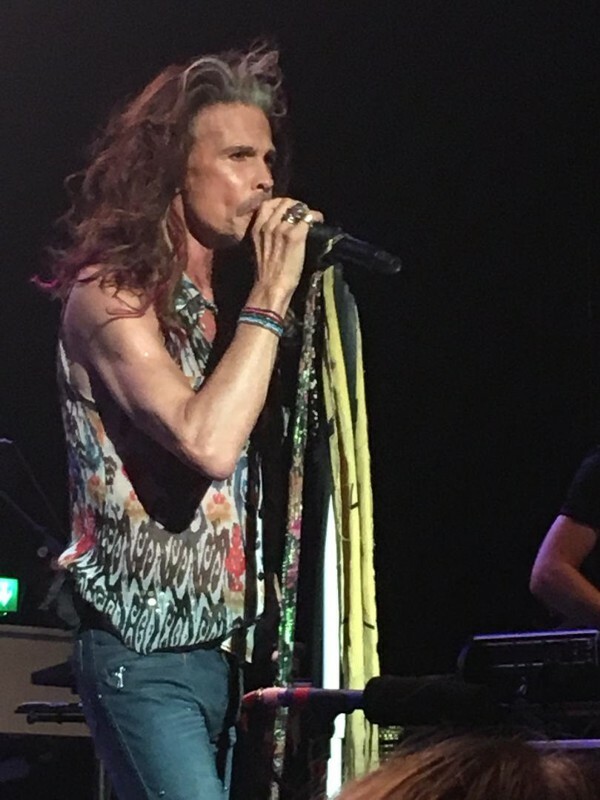 The final number is Led Zeppelin's 'Whole Lotta Love' and Steven Tyler announces, "we will always be grateful for the music of the UK", thanking everyone before saying goodnight. It was a magical evening. It wasn't Aerosmith, but it was something not to be missed.